You can visit his Facebook page Walter Whip here. Whip Cracking 2 hours Workshops will also be held for the kids throughout the two days. Friday 3-5pm and Saturday 10-12pm. Please note that these are suggested times and can change due to conditions. A great act for all ages to experience and enjoy. If you missed Chris last year, the Show Society is pleased to announce his return for this year. 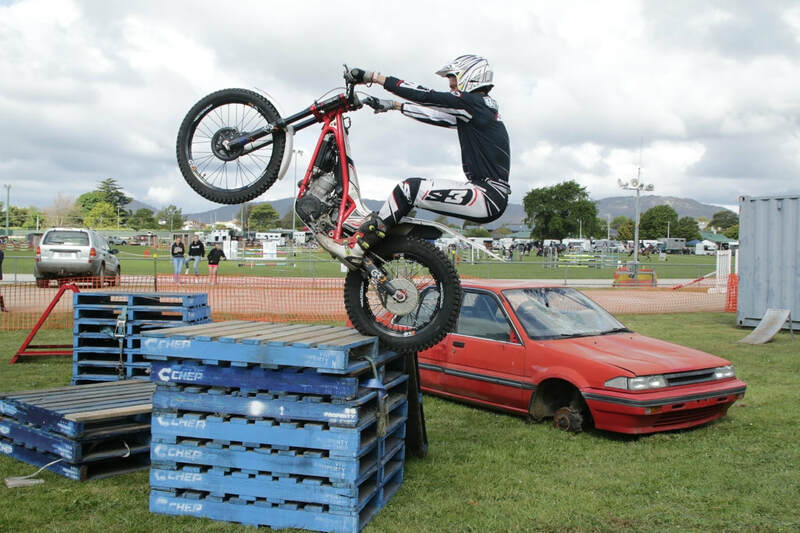 Chris will demonstrate his skill on mastering obstacles using his trial bike. 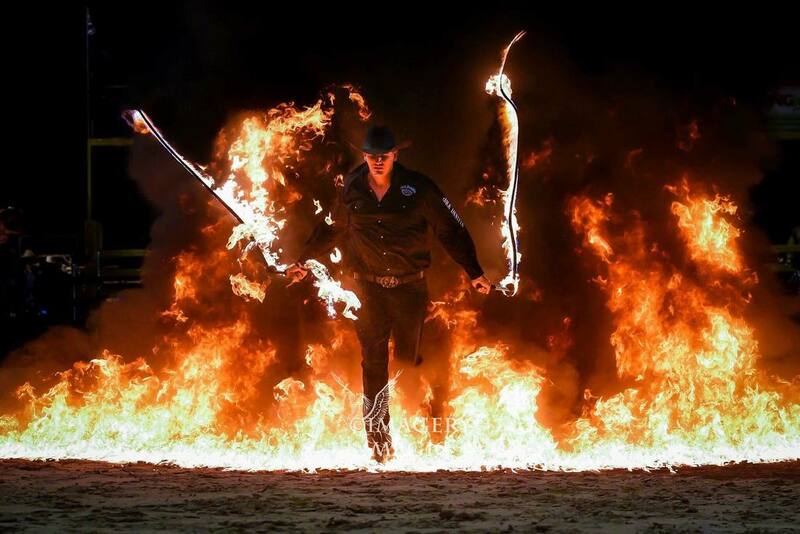 He has been 5 times Tasmanian State Champion and when you watch him, you can see why. Chris will demonstrate on Friday 2.30pm, 4.30pm and 6.30pm and on Saturday 10.00am and 12.00pm. Please note that these are suggested times and can change due to conditions. Come along and be amazed by Chris's ability to ride over anything that is put in front of him. Back by popular demand, The Unit will be performing at this year's show. ​Brett and the team will be performing on Friday night around 8.00pm in the Shearing Shed. 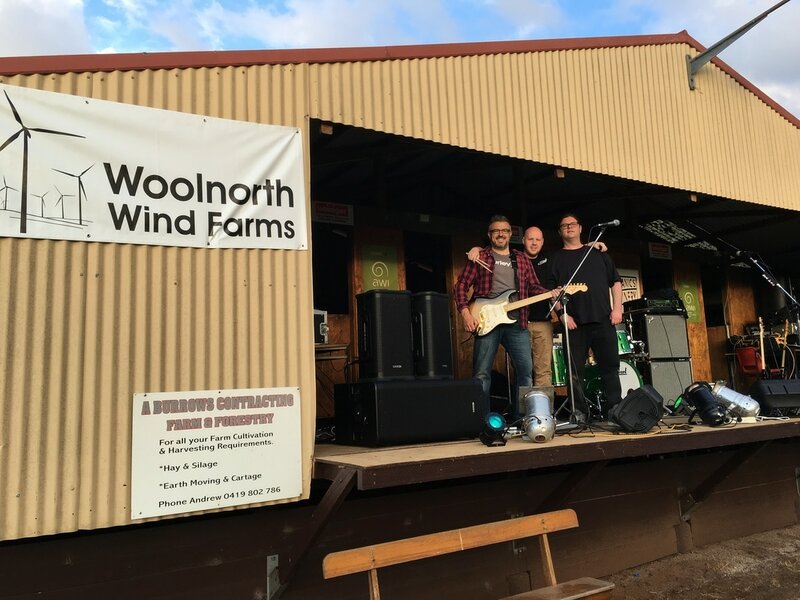 Come along and join in the fun, dancing and listening to one of Tasmania's best bands. Entertainment for the children this year will be the Pelican Puppets. 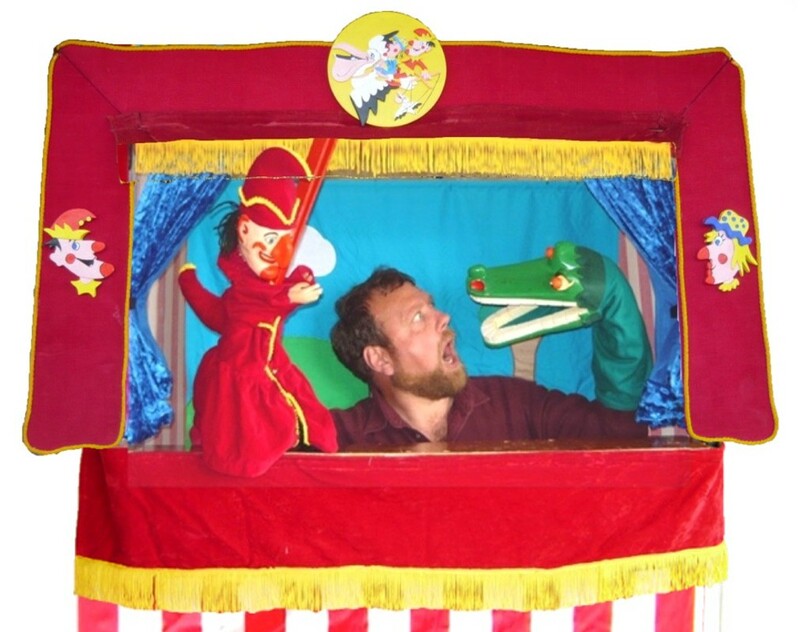 Over the two days, the children can experience joy watching the traditional art of Puppetry. Lots of fun for all ages to see and have lots of laughs. The exciting and fast action of Laser Tag is back at this year's show. A fun and interact family game for all to enjoy and again it is free to show patrons. Operating hours will be Friday 2.30pm - 8.00pm (later if Lynden see fit) and Saturday, 10.00am to 2.00pm. Visit www.facebook.com/lyndenslasertag to check out what games may be available. Back by popular demand, Phil and his mechanical bull will be at this year's show for all ages to enjoy. Free to patrons to enjoy and experience. Join in and test your skill. Lots of laughs and family fun. Phil will be ready for patrons to have ago from Friday 4.00pm to 10.00pm and on Saturday 10.00am to 2.00pm. ​Please note times may change due to conditions. Ebony will be at this year's show painting faces to surprise and delight. Come along to the Stadium and see you child's face light up after Ebony works her magic. A wonderful experience and lots of fun for young children. Ebony will be available on Friday from 4.00pm to 8.00pm and Saturday, 10.00am to 2.00pm. ​What all children love are balloons. 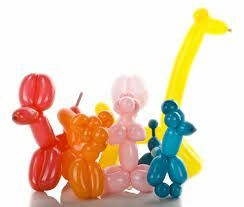 The Show Society is please to announce that Chris will be at this year's show entertaining all our guests with different balloon figures. You can find Chris at the Show on Friday between 4.00pm to 7.00pm and on Saturday 11.00am to 2.00pm. Come along and enjoy watching Chris do his magic delighting all with his talent. Our Animal Nursery is a special place to visit for the whole family. 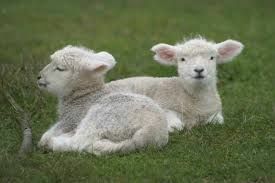 You can interact with the cute baby animals and see how splendid nature can be. In the nursery there will be lambs, baby ducks and chickens and lots more and of course, our chicken breeders will be showing off their best birds. Come along and enjoy our displays which will be open on both days. Side Show Alley will be in full swing with rides that will delight and thrill. Speed Shearing will be held on Friday Night. On Saturday, there will be Chopping and Yard Dog Trails. Scottsdale Show Equestrian events will be held on both days and these events are known to be one of the best in the North. A Fashion Parade will be held on the Friday night at 7.00pm in the Club Rooms sponsored by Sue Rees Modelling and D & Me Fashion with our gorgeous Taylor Clyne as MC. And don't forget our stock classes - Cattle Handlers, Dairy, Beef and Prime Cattle and Lamb and Poultry. Pet Parade is held on Saturday and is a favourite for the children.